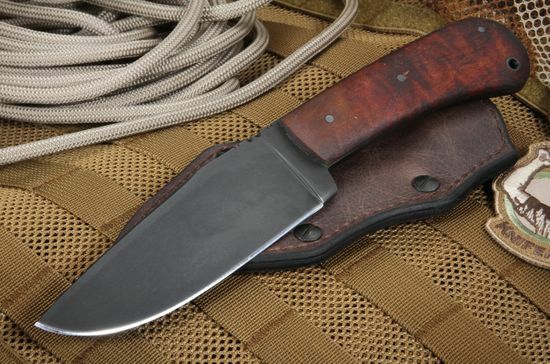 Winkler II knives are custom crafted in the workshop of Daniel Winkler, Master Bladesmith. Each knife is designed as a result of Daniel's work with the US Special Forces and his experience as a knifemaker, and each is, in his words, "born of Warrior's experience." The Winkler Knives II series are all crafted using the stock removal process. This knife is made to handle all of the jobs a hunting trip requires, and will end up being used everyday for general use as well. 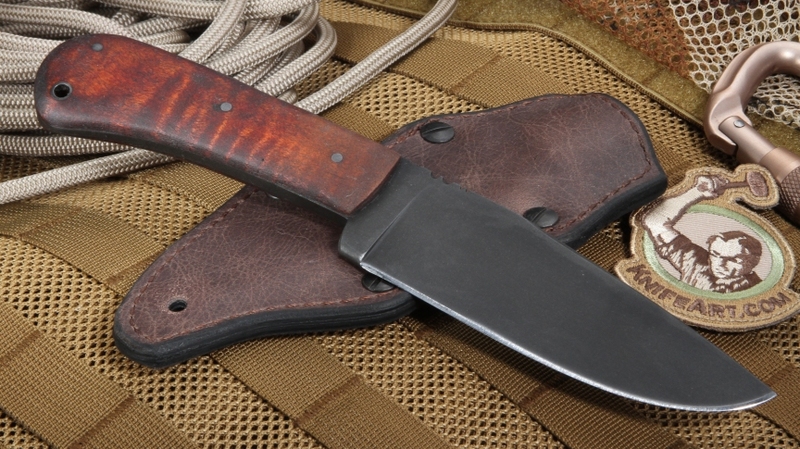 This American-made knife has blade of hard 80CRV2 carbon steel. Its razor edge is made possible with flat grinds, and it will hold the edge well. The black caswell finish on the blade helps to resist rust. The 5" blade is shaped in a classic drop point style, with a full 4 3/4" cutting surface. Custom features include a full tapered tang for balance; even the thumb rest on the blade spine is hand filed for fit and comfort. With a total length of 9 5/8 inches, and a weight of only 7.9 ounces, this knife is truly as impressive as it is unique. The handle is made of premium curly maple, with scales to give it a warm, comfortable heft and feel. There is even a lanyard hole to help with a firm and secure grip for those times when weather or the job don't cooperate. 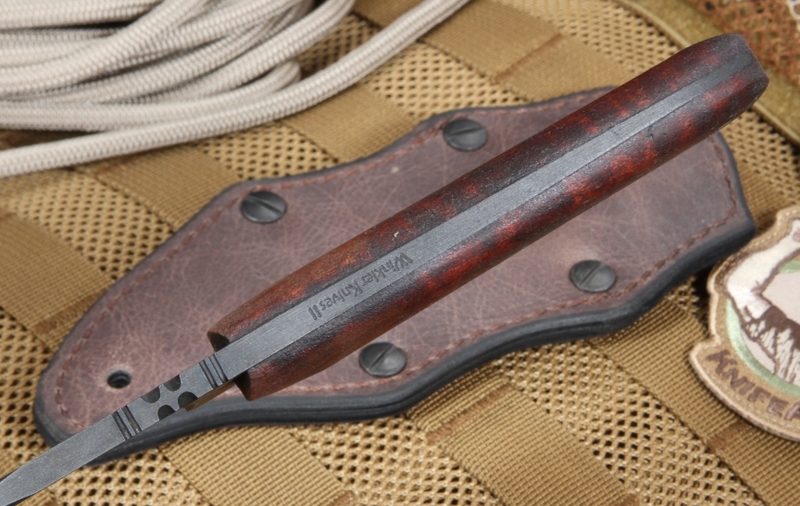 This knife rests in a top quality kydex lined leather sheath. Carry it in your pack or on your belt - horizontally or vertically. KnifeArt is an authorized dealer for Winkler products. Our customers always receive prompt service, same day shipping on weekdays, a solid guarantee, fast delivery and secure online ordering. Your satisfaction is guaranteed. These folks are excellent, I will certainly order from them again!